You would think you had it all after purchasing an Apple iMac but the Twelve South intros HiRise for iMac is a nice accessory to add to the somewhat all-inclusive computer. It’s made with what seems to be an identical match as far as appearance with it’s extruded aluminum and stamped steel finish. The match is so that once it’s in place you would think it’s part of the computer. The installation is basically nothing, just slide the shelf in the position you want and put the base of the iMac on top of that. The shelf adjusts a few inches up and down with six internal positions, which causes the computers screen to go up and down, so just find the right height that works best. 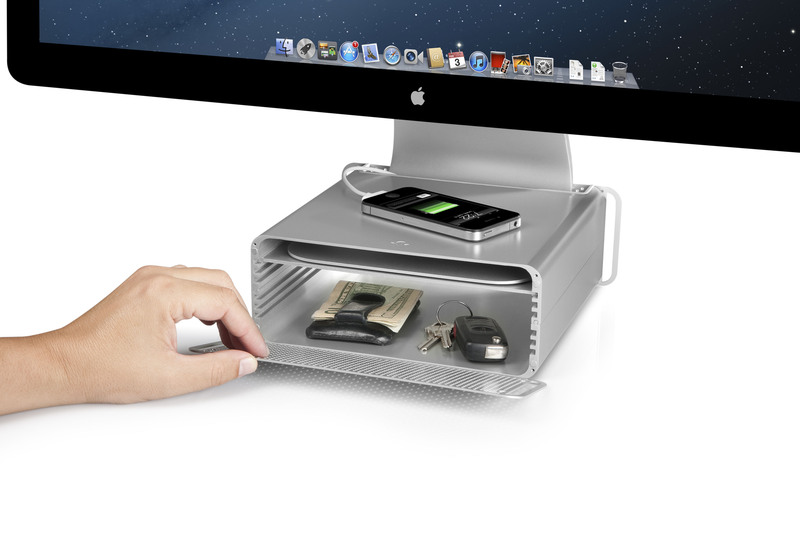 A magnetically secured faceplate flips open to reveal two shelves, which can be used to store cables or other small accessories. Small hard drives can even be stored inside and have the drives cables feed out the back side of the HiRise to plug into the computers ports. While I tested it out with a 27-inch iMac, its designed to work with any of size of the iMac family or Apple Displays with an L-shaped base. A company representative also mentioned that a new that another HiRise, this one for MacBook, is being introduced this week. The iSafe backpack joins the crowded retail world of ‘i’ products but it’s almost in a class by itself when it comes to security with the Urban Crew backpack line designed for teens. 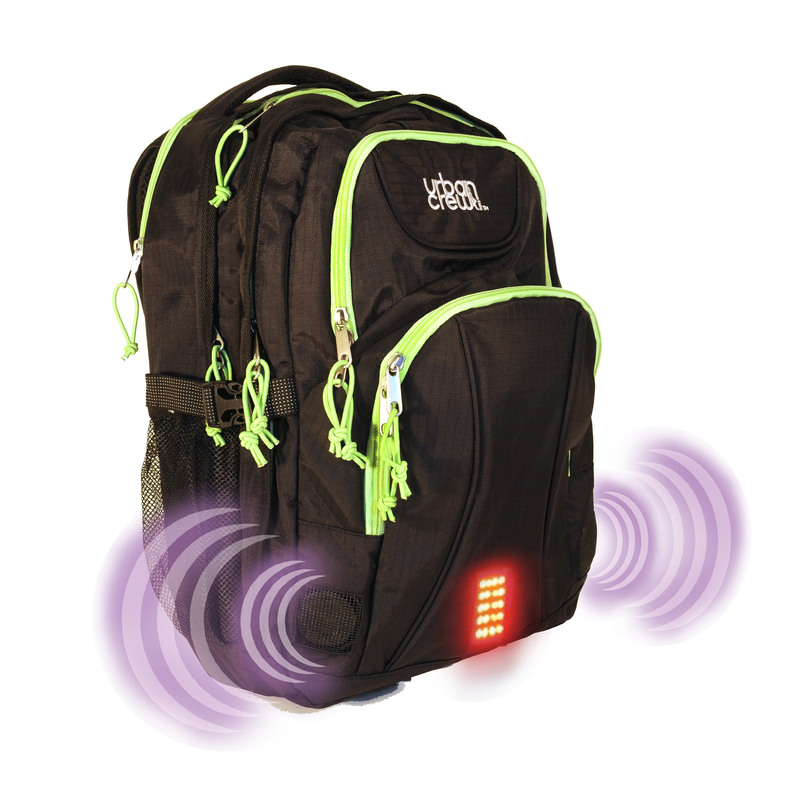 A concealed audible alarm is built into each bag that also includes an undetectable activation pin built in to the shoulder strap of the backpack. 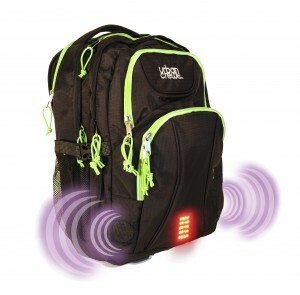 Once it’s activated, the alarm yields an noise with flashing lights, to draw attention to the potential theft while the backpack is sitting by itself or on your back. One model, the iSafe Guardian School Backpack ($49.99) is designed for ages 8 and above. It’s a top loading, lightweight bag with easy access to the main compartment. The guardian weighs just 1.7 pounds with it’s alarm system and batteries (two 9V alkaline) and is available in black, blue, green and pink. The Urban Crew Campus Laptop Backpack ($89.99) is designed for ages 14 and up with seven zippered compartments along with an audio player pocket, computer sleeve and padded shoulder straps. It weighs just 3 pounds with the alarm and batteries. available in five color combinations including including black, green, pink, purple, and red. Headphones from Monster always seem to set a standard for innovation in both looks and sound. The new Monster DNA headphones combine their sound with branding from Viacom, home to the world’s premier entertainment brands including MTV and VH1. After Monster came out with the Beats years ago, many companies saw them as a trend setter and they were copied over and over. As for the new DNAs, they look a little different from most any other headphones on the market with a futuristic design. Their great sound along with the comfort of the triangle-shaped padded ear cups make them a definite candidate to be copied yet again. After turning up the music, the sound is nothing short of the high expectations from a company like Monster and I expect the same from V-Moda after I get a chance to try out their new M-100 headphones later this year. 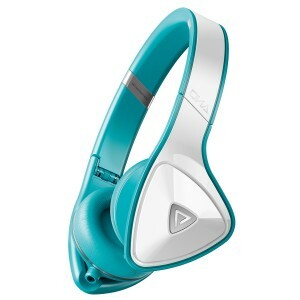 The headphones I tried were a teal/white combination but choices of designs, patterns and two-tone colors are way too extensive to list here; just check out the Monster site. The cord included with the headphones is Apple friendly to answer calls and control iPhones, iPads and selected iPods. A travel pouch is also included. 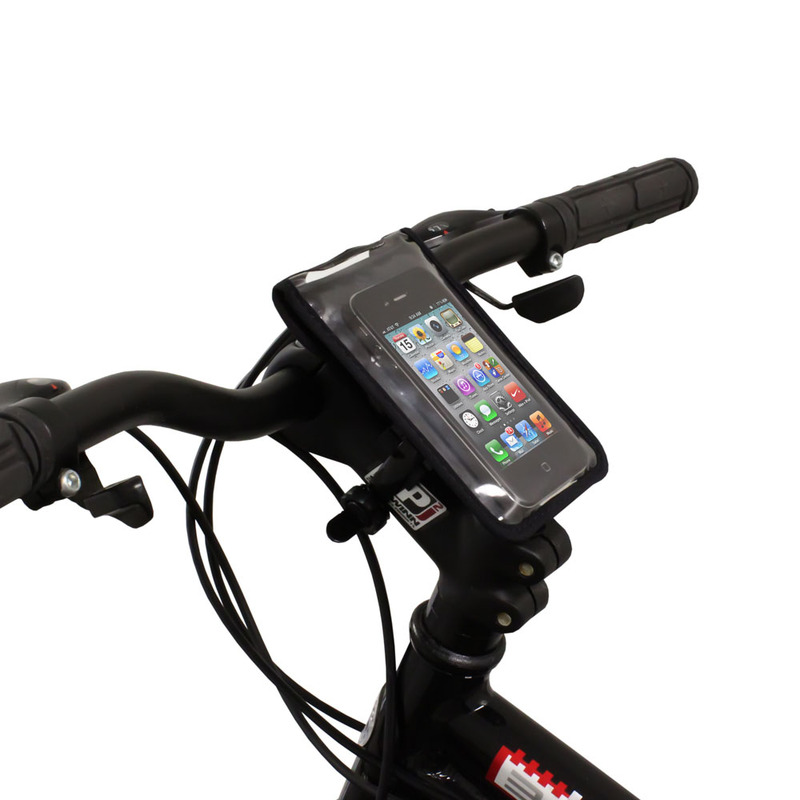 Two products make a great combination for an earful of tunes while on a leisurely bike ride. The first is the Bikemate Slim Case 3 smartphone bike mount, which to me is one of the best among many bike mounts I’ve tested. My reasoning is that it’s design and size allows users to put their smartphone inside the clear window case without removing your existing case. This enalbles it to be compatible with most every smartphone including iPhone 5 (as tested), BlackBerry’s, Droids, and the Samsung Galaxyes; as along as it’s no bigger then 3.5 x 5-inches to fit inside the pouch. Attaching it to the bike frame is simple; if it takes more then two minutes, you did something wrong. It attaches scratch-free with the rubber grip you get in the package and can be adjusted for most bikes. 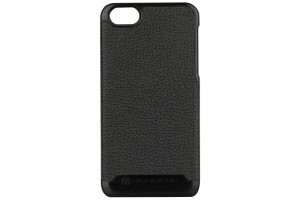 The case is made of a dual layered foamex to keep your smartphone clean and more importantly visible and accessible. A Velcro seal keeps it in place but there are openings for full access to the headphone and charging ports. You can also hear sound from the devices internal speakers but a better solution for sound is the next product. Obviously you should always keep your volume low to keep yourself safe to hear any surrounding noise, vehicles, etc. Phiaton’s PS210 Bluetooth headphones make a great partner with the Bikemate case. I’ve tested many other headphones from Phiaton and these are as good if not better then any of the previous ones. They feature an ergonomic half-in ear design, which give you great sound and at low volume I was able to clearly hear my XM radio along with outside noise. All the controls are on a small controller, which has a clip to attach to your shirt or pocket for easy access. Once I paired with via Bluetooth with my iPhone 5, the controller allowed me to change the volume, switch tracks and even answer calls and talk through its built-in microphone. Phiaton’s Echo-Off noise reductions helps eliminate background noise so the person on the other end of the call can hear you loud and clear. 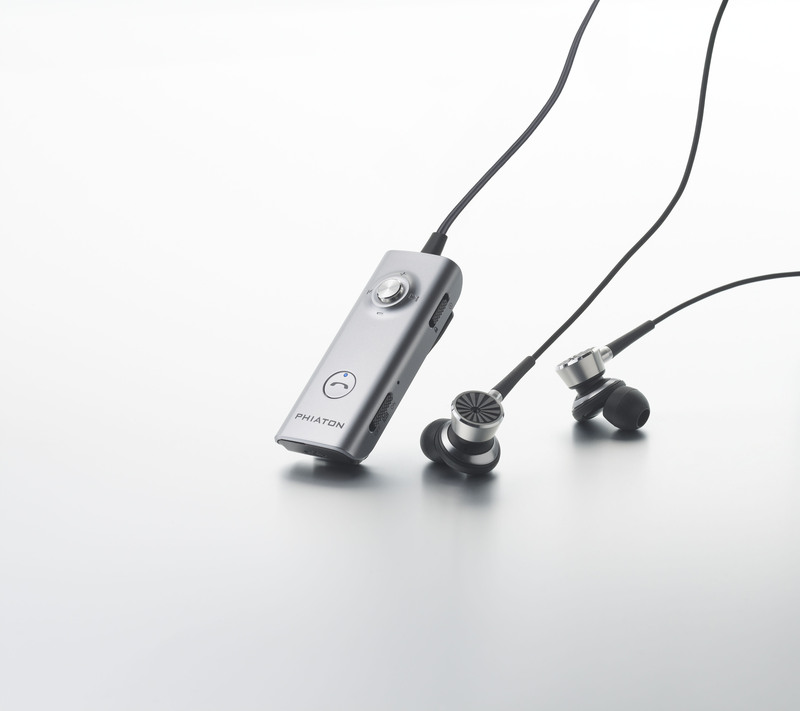 A built-in battery takes a microUSB charge to give you about 14 hours of music listening. When you want the headphones really cranked up to higher volumes you get great sound with enhanced noise canceling technology along with the Bluetooth 3.0 technology. Additionally, you get four sizes of silicon ear tips for the right fit, a neck strap, carrying case and a USB charging cable. Blue Microphones Mikey digital audio microphone for the iPad and iPhone is as simple as any to use for audio recording. It’s advertised as a plug-and-play stereo microphone and it’s just that. It works with just about any recording app such as the one I tested it with, Garageband. Just plug it in and your device recognizes it instantly and works the app. You won’t see any difference when you’re recording with the microphone, but when you play it back you can hear the clarity vs. recording done with the built-in mic. It has automatic and manual gain settings and can be angled (230 degrees) toward the audio source. Another neat feature has a USB charging port on the microphone, which can charge your iPad or iPhone while it’s being used for recording. This can be a great feature for extended recording sessions to keep your device powered up. Also included is an adapter to connect instruments to the 3.5mm input port. Likes millions of others around the world, I chose to upgrade to the iPhone 5 a few weeks ago and until recently it sat uncased. Unlike the iPhone 4 to 4S upgrade, the iPhone has a different body so that caused a delay in the release of cases and accessories from third party vendors. According to several tech supply companies, Apple didn’t release the specs of the new phone and it’s new redesigned Lightning power connection until the actual announcement. As for the cases, they have been popping up on my doorstep almost daily, which gives me a lot to choose from. Literally within second’s of the iPhone 5 announcement my inbox was flooded with emails from companies announcing their new cases and most said that their products would be available any day or soon. The first one out of the gate and into my hands was from Scosche and among their choices was the rawHIDE. It’s made with a polycarbonate shell and has a genuine leather exterior. Just as with every other case, you get full access to the screen, volume control and the lightning port. As I’ve written previously, Otterbox makes some great products and their efforts with the iPhone 5 continue their tradition of protecting high-priced portable gadgets. 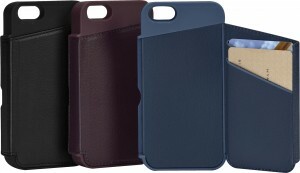 You can’t go wrong in choosing between Otterbox’s Defender or Commuter Series iPhone 5 cases. The commuter is a two-piece design with a silicone skin-tight shell that fits perfectly into a hi-impact polycarbonate shell and comes with a self-adhesive screen protector. With Defender series you get everything you need to either carry the phone in your pocket or bag and also at your hip with a belt-clip holster that swivels both north/south and east/west, depending on your preference. A polycarbonate shell has a built-in screen protector and then is surrounded by an impact-absorbing silicone. Lots of companies have tried to incorporate a small wallet into their cases and the best I’ve seen so far is the Wallet Case from Targus. Without adding any bulk, the back opens to reveal a patent pending compartment where you can store a credit card and drivers license or just a few business cards. 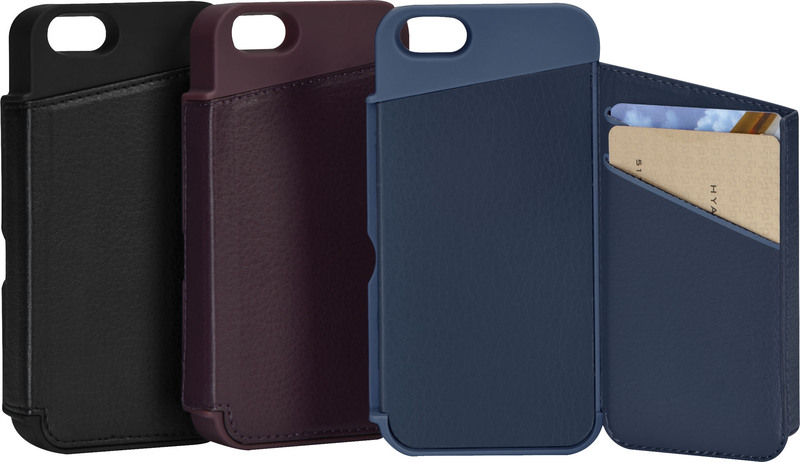 It’s made with a faux leather exterior and is available in black, French blue and merlot. 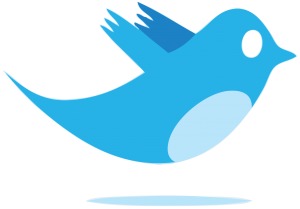 With offices around the world, M Booth and Associates is one of the largest public relations companies. 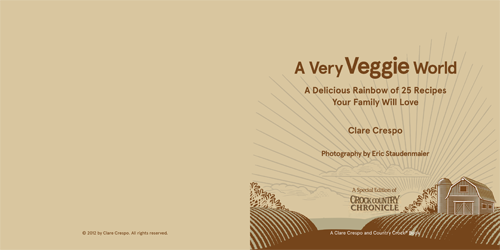 They were approached by Unilever-Country Crock to create a brochure promoting vegetables. That sounds like a tough challenge, but M Booth was up for it. 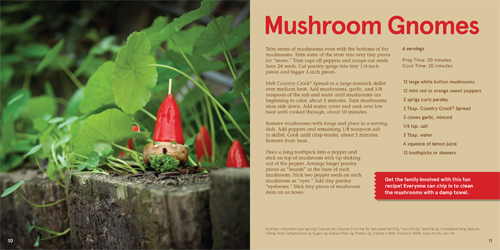 The creative team imagined vegetables in all different types of scenarios in a myriad of locations. The result is a photographic feast. 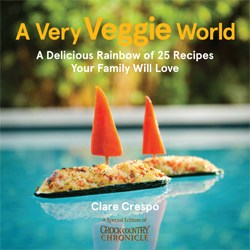 Vegetables never looked so good. Full brochure, here. AirPrint is a feature Apple put in iOS devices a few years ago to help users print emails, documents and photos without using a computer if you had a newer, AirPrint-ready printer. The problem for many people is you already have at least one printer that doesn’t have the feature so printing is not possible. 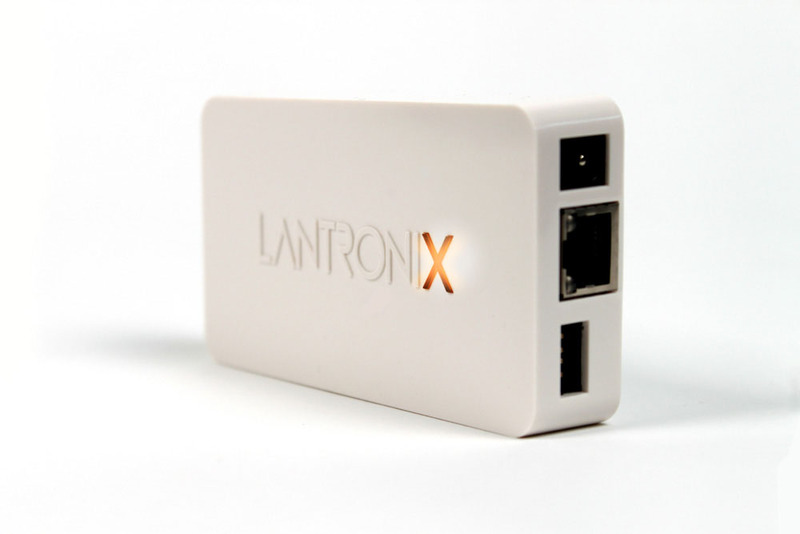 That’s where the Lantronix’s xPrintServer Home Edition comes in. The device (4.5 x 2.4 x 0.8-inches) is small enough to hide behind a printer and has ports for USB, ethernet and power all on one side. It comes with everything you need to get it going except a USB printing cable. The setup is pretty simple: plug in the printer, ethernet cable and power cable in that order and give it a few seconds to set itself up. Then your iOS device or any computers on the same network will recognize your printer(s) as “Auto Discovered (USB)” and you print. Within the instructions it’s noted that the xPrintServer can work with up to eight printers with a USB hug (not included), I tested it with a few Epson printers and it worked perfectly. A listed of compatible printers is at the company’s website and you can ask to have yours added if it’s not included yet. At first glance the iStabilzer Dolly looks like a kid’s toy but it’s actually a useful device that attaches to your smartphone to turn handheld, shaky video into smooth rolling and panning footage. Four smooth rolling wheels are on a pair of axels and attach to the bottom of the metal base. An 8-inch arm is attached in the front, back or center of the base. Your smartphone or even a GoPro is attached to the arm with the iStablizer mount and can then be pivoted and angled to most any angle you want. The mount can also be used on any standard threaded tripod mount without the Dolly. Roll it, angle it, put it up high, down or anywhere you can reach or it will fit. While I was testing it, I had my iPhone out of its case but since the mount is spring loaded I would think it would be fine with most smartphone cases. The dimensions are 8 x 3 x 5 but changes when you attach the arm and it weights 1.25 pounds before you attached you phone or camera. The Jabra Solemate, called the Ultimate Portable Speaker, definitely gets the WOW vote from me. Pair it up with any Bluetooth-enabled device for a wireless connection or just use a microUSB or 3.5mm audio cable (included) to connect ’em up. But after you’re connected and you turn up the volume you’ll hear the great sound. The sound, with a great deep bass, comes from front-facing dual tweeters and an integrated subwoofer. In addition to music, it’s built with a microphone so hands-free cell calls can be used with it or just have it cranked up for great sound while gaming. The design is the speaker is also pretty cool with a handle for portability on one end of the body. The other end as all the ports and power control. 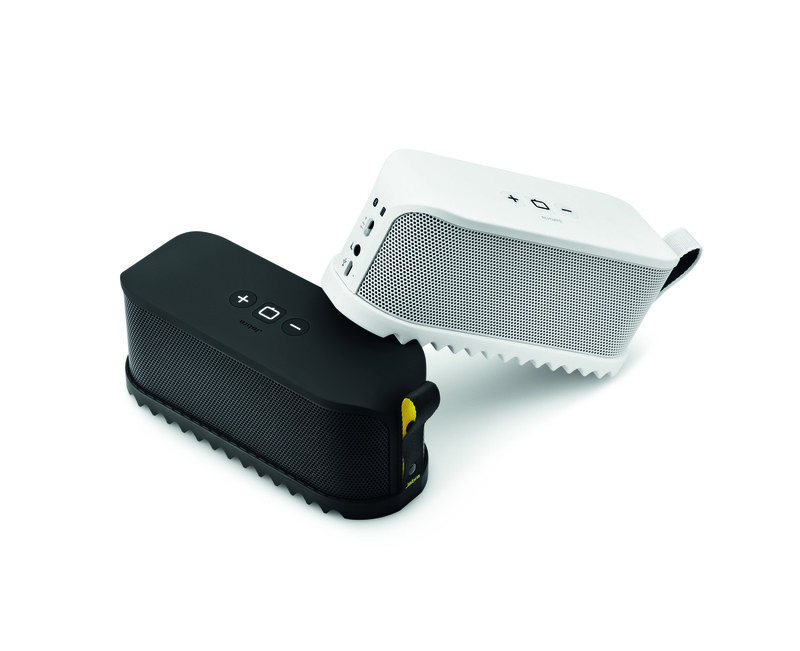 The top and bottom of the handheld speaker is made with rubber, while the body is made with a high-quality metal mesh body to let the sound out. It also comes with a sound bag to keep it clean free from weather, dirt or dust but still blasting out the sound. The internal battery should last for up to 8 hours of use before a USB charge is needed. www.jabra.com It’s available in black or white models for $199. For years I’ve been a digital music junkie with a variety of devices but it’s still kind of cool to go back to the player I used in high school – a Sony Walkman. 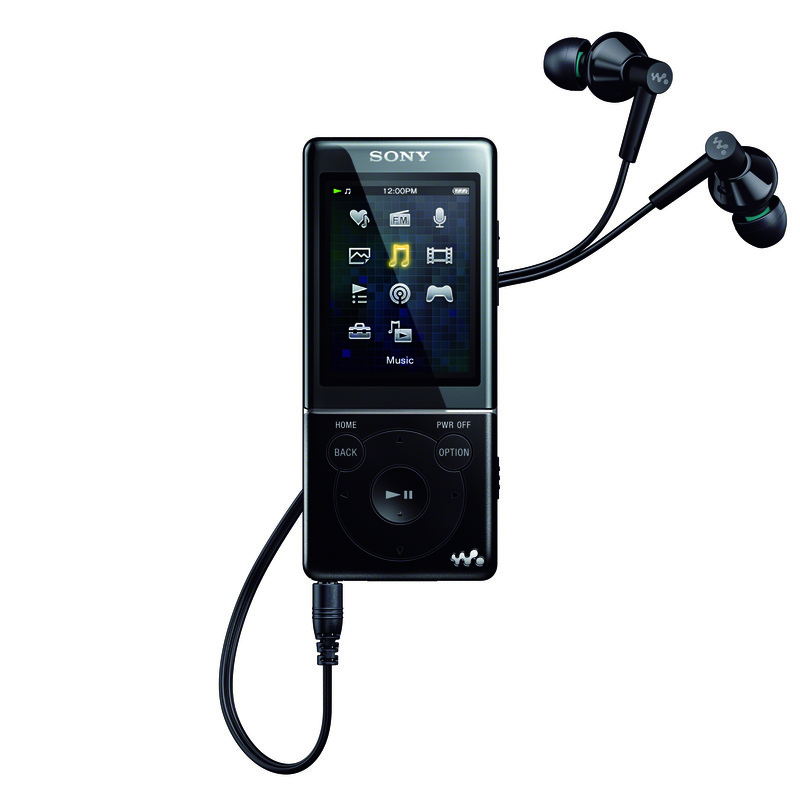 The latest in the line of digital players is the Sony E470 Series MP3, the thinest Walkman ever at just 7.0 millimeters (0.276 in). The rest of the body is 3.75-inches long by about 1.5-inches wide. Photos and video’s are viewed on a 2-inch LCD. Music and video’s are loaded into the player with ease from Windows media player or iTunes. The internal battery is rated to work for 36 hours of music playback or up to 6 hours of video watching. Great-sounding hybrid silicone soft EX earbuds are included with the digital player that also has a built-in FM tuner. 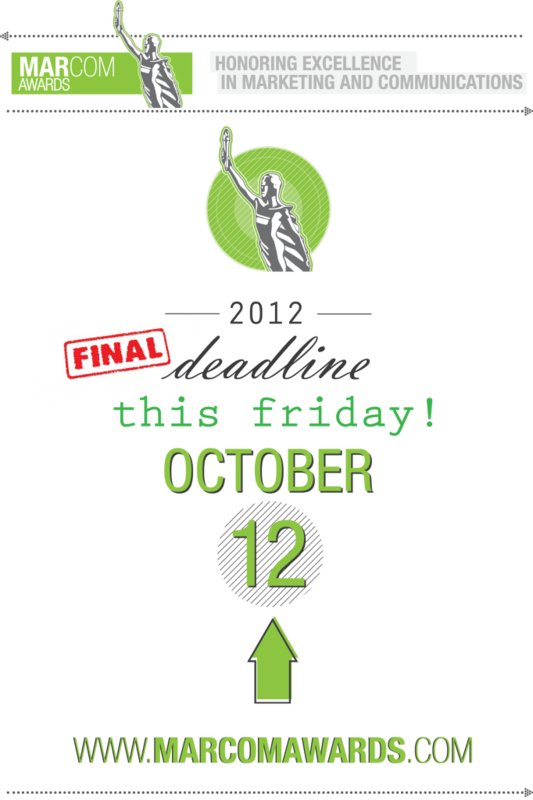 Additional features include two pre-installed Sudoku and Tetris-like games, a microphone, a clock and alarm features. Built into the internal software is a feature called SensMe tone analysis, which will group your music based on beats-per-minute. It’s available in metallic red or with a black finish and sells for $79.99 with 8GB of storage (as I tested) or 16GB for $109.99. The XD Sport from Optrix transforms your iPhone into a rugged action sports camera. Once your iPhone is mounted in the water resistant case, the included mount can be put on a bike, boat, plane or even your dog if they cooperate – obviously mine did not. The three-element glass lens has a 175-degree field of view for capturing an ultra-wide angle image. As for the case, it’s military grade, which means it’s rugged and can withstand drops and bumps a lot more then the average case or keeping the iOS device caseless. It’s available in different bundles depending on how you want to mount it with flat and curved mounts. The motorsports bundle has a tripod mount and a suction cup or with the H20 bundle you get what is referred to as the strongest suction cup you can buy. This includes an indicator to alert users to any loss of pressure where the suction cup can become detached. 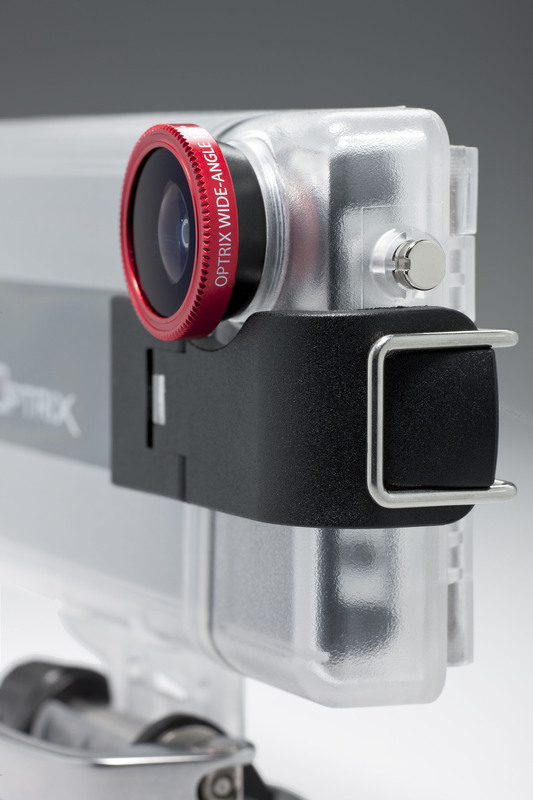 Currently the system is available for the iPhone 4/4s and is not designed for the iPhone 5 but a company spokesperson indicated the Optrix is in the process of tailoring for the newer models. You can’t predict a roadside emergency but you can count on Eton’s Road Torq self-powered emergency kit to fire up with the needed light to help get you through the problem. 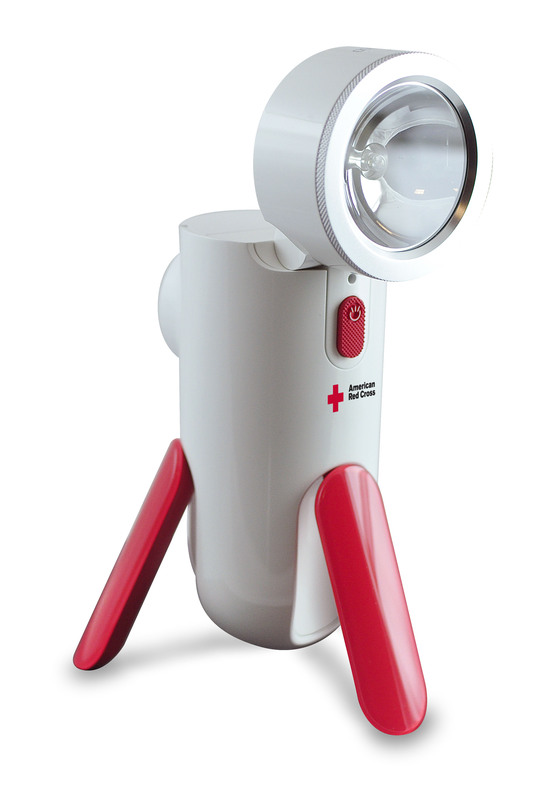 The American Red Cross has their approval and logo on the light, which has a 1.7 W LED flashlight with 90 lumens. It’s built with a rechargeable lithium-ion battery; to charge it up, you use hand turbine technology, which translates to you cranking it. For every two minutes of cranking you’ll get about 15 minutes of power. Three legs fold out to keep it standing on its own to shine a single watt LED spotlight built with an adjustable head. You can also plug it into a cars DC outlet for power. 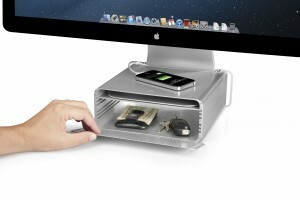 It measures 2.5 x 7.125 x 2.5-inches and weighs just 13-ounces, which gives it easy portability and storage. Nationwide is an insurance company whose commercials we’ve all seen. The company also puts together a smart, sleek capabilities brochure. 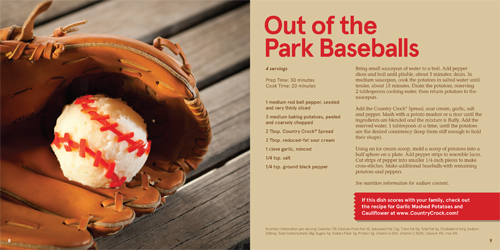 The brochure communicates with concise writing, well designed graphics, and interesting photography. 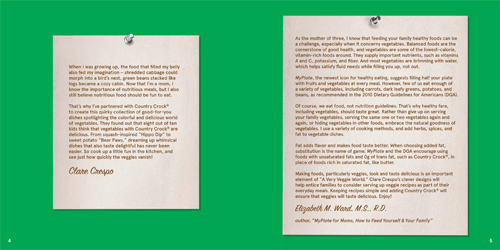 The layout allows the reader to take in the information without being overwhelmed. The brochure manages to tout the companies capabilities without getting bogged down in superlatives or hyperbole. 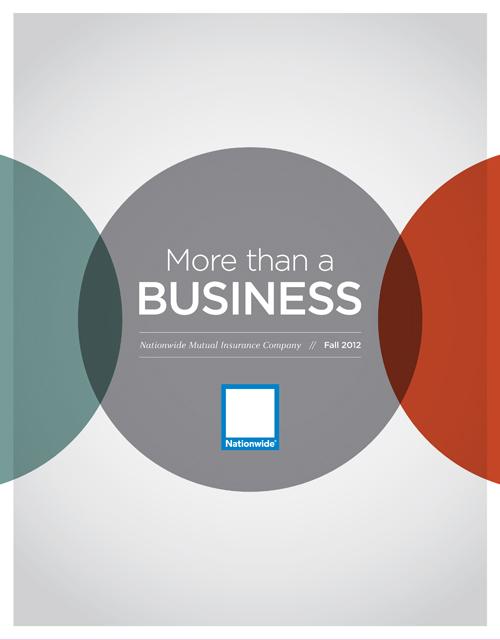 Annual Reports come in all sizes and varieties. Though they serve a very important function for corporations, universities, non-profits, and NGO’s, often they are not the most exciting publication off the presses. 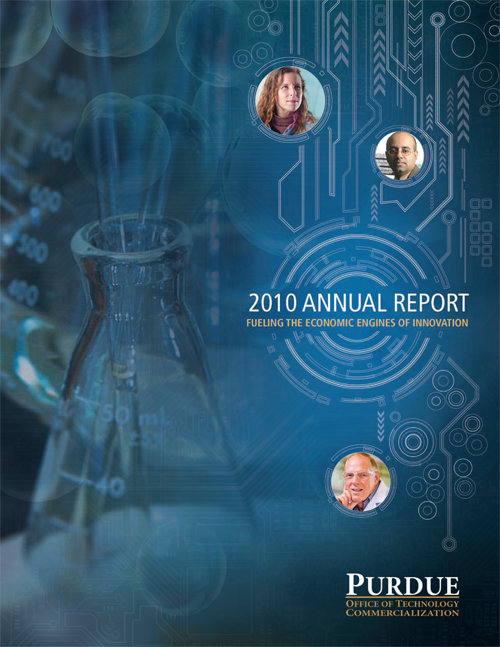 With a name like “Purdue Office of Technology Commercialization 2010 Annual Report”, you would expect a technical and not so exciting report. But Purdue does things a bit differently. This annual report contains unique design techniques along with bold graphics and exceptional photography. If you were wondering what this office does, it commercializes the university’s intellectual property.